Posted with the permission of the author Matthew Williams, Esquire. Matthew is an intellectual property attorney practicing with the firm of Mitchell Silberberg & Knupp. All rights reserved. Apple’s release of the iPhone in June 2007 was an unqualified business success – 1.4 million iPhones were sold in just a few months. However, as has become the norm when a business is successful, several legal problems have arisen for Apple and its telecommunications partner, AT&T. 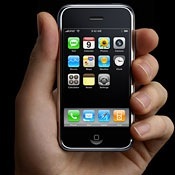 Many of these problems began shortly after the iPhone’s release, when a New Jersey teenager announced that he had circumvented the technological ‘lock’ that renders the iPhone inoperable with wireless telephone carriers other than AT&T. The hacking of the iPhone received almost as much press attention as its release and Apple estimates that as many as 25 0,000 iPhones have been unlocked . Among other things, the complaints allege that consumers may unlock iPhones legally on the basis of a November 2006 regulation promulgated by the librarian of Congress regarding exceptions to the Digital Millennium Copyright Act’s prohibition against circumventing technological protection measures. Furthermore, the complaints allege that the software update issued by Apple, rendering thousands of iPhones inoperable, was an illegal effort to prevent consumers from exercising this exception. Whether the unlocking of iPhones fits within the librarian of Congress’s exception to the act depends on the answers to a number of difficult questions. It is far from clear that unlocking an iPhone is legal. The librarian crafted narrow language which limits the exception to circumstances in which “circumvention is accomplished for the sole purpose of lawfully connecting to a wireless telephone communication network”. At least one court(3) has ruled that unlocking a mobile phone for the purpose of reselling it to third parties violates the act and does not fall within the exception; fearing that many of the iPhone hackers purchased multiple iPhones for resale, Apple recently limited the number of iPhones that an individual may purchase and stopped accepting cash for iPhones. Determining whether the librarian’s exception applies to unlocking iPhones and, if so, how many of the class members involved in the cases fall within the scope of the exception are likely to be central issues. Copyright owners should follow these cases carefully, especially because the anti-circumvention provisions of the act are infrequently interpreted and are often critical to many business models. (1) Holman v Apple, Inc.
(2) Smith v Apple, Inc.
(3) In TracFone Wireless, Inc v Dixon, 475 F Supp 2d 1236 (MD Fla 2007). We all want to change the world . . .
Perhaps John Lennon said it best: if you push people hard enough and long enough, they will revolt. The question is, has the RIAA gone too far for too long? A recent motion filed in their case against students at the University of Maine may very well answer that question. The RIAA named numerous “John Doe” students in their complaint in Arista Records v. Does 1-27, as is their practice in all of their lawsuits. The RIAA’s purpose of naming the John Doe defendants is so that they may obtain an ex parte (i.e., without the other party being notified) order from the Judge requiring the targeted university to provide the various students’ name, address, and, particularly, their IP address. Student lawyers at the University school of law Cumberland Legal Clinic have filed a motion for Rule 11 sanctions against the RIAA claiming that this practice improperly seeks to circumvent the student’s rights under the Family Educational Rights and Privacy Act, §1232g(b)(2)(B) (“FERPA”), gain publicity for its cause, and coerce students into settling for “nominal” amounts in the $3-5000 range. Rule 11 of the Federal Rules of Civil Procedure allows sanctions against an attorney who signs a pleading without properly investigating the facts and the law and does so with an improper purpose. The motion also questions whether the joinder of plaintiffs and defendants under the RIAA-type lawsuits is proper because the actions do not, in fact, arise out of the same transaction. Rule 20 of the Federal Rules of Procedure provides that multiple plaintiffs can join in one action if “they assert any right to relief jointly, severally, or in the alternative with respect or arising out of the same transaction, occurrence, or series of transactions or occurrences…and any question of law or fact common to all plaintiffs will arise in the action.” Fed. R. Civ. P. 20(a). Similarly, multiple defendants can be joined in one action if “any right to relief is asserted against them jointly, severally, or in the alternative with respect to or arising out of the same transaction, occurrence, or series of transaction or occurrences . . . and any question of law or fact common to all defendants will arise in the action.” Id. The student motion alleges that the RIAA does not, in fact, believe that all of these copyright infringements arise out of the same facts, but join together against multiple defendants for the sole purpose of trimming litigation and discovery costs. In this case, the student lawyers are seeking more than just monetary damages under this Rule 11 motion: they also seek dismissal of the complaint and a permanent injunction preventing the RIAA from filing “fishing expedition” type complaints against “unconnected” defendants in the future. These types of injunctions may be applied in jurisdictions other than the one in which it was issued, so in theory such an order may be applied to thwart lawsuits in other Federal courts across the country. This in one ruling that should be very interesting.